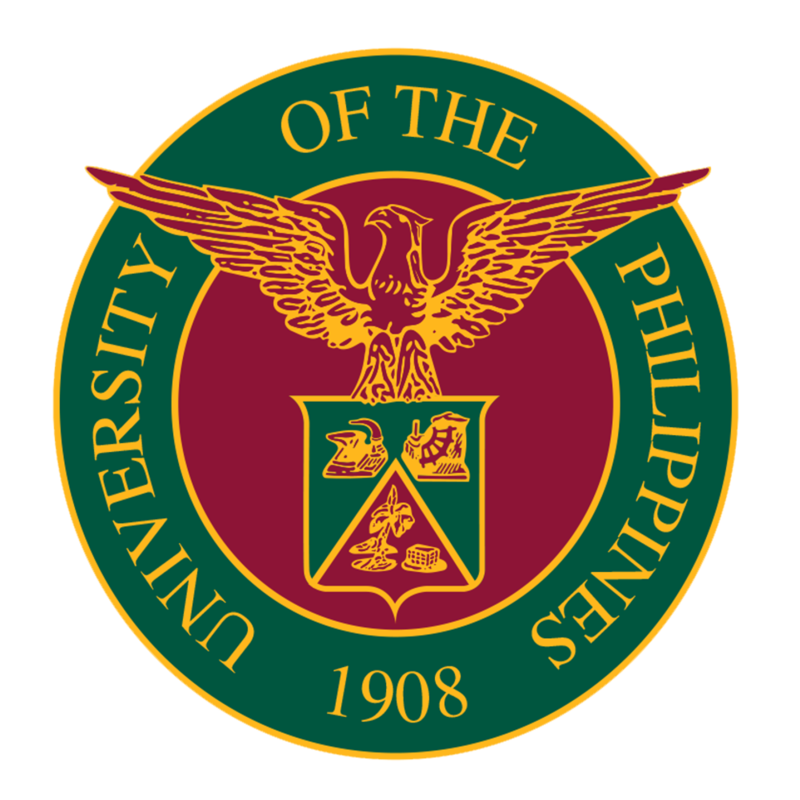 A professor from the University of the Philippines Los Baños paid a visit to UP Cebu and conducted a short talk on the ongoing researches of UPLB last September 4, 2015. Prof. Jaderick Pabico of Computer Science and head of the Research Division of the Institute of Computer Science looked forward to possible collaborations on computer and computing sciences researches with the UP Cebu faculty members and students. Pabico discussed on the efforts on the long-term continuous profiling of sentiment and readability of Tweets from disaster-prone ares in the Philippines. 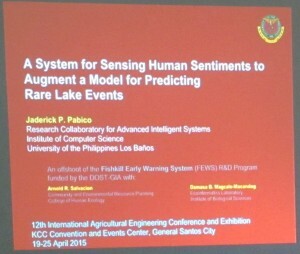 In particular, Pabico shared the “System for sensing human sentiments to augment a model for predicting rare lake events,” wherein he mentioned that the motivation for the research was the untimely information of fish kille events (FKE) that is not enough for fisherfolks to conduct emergency avoidance prodecures. This problem was addressed with a research program funded in 2012 by the Philippine Council for Agriculture, Aquatic, and Natural Resources Research and Development of the Department of Science and Technology (DOST-PCAARRD) to develop a fishkill early warning system for Taal Lake. With residents owning electronic communication devies, social media became the avenue for expressing real-time concerns. This resulted to scientists utilizing social media posts and microblogs for real-time forecasting on the occurrence of the natural FKE. 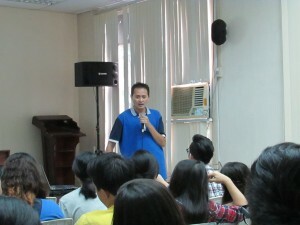 The brief talk was attended by more than 40 students from the Department of Computer Science.